Balfour Beatty, Vinci, Bowmer & Kirkland and a Farrans-Gilbert Ash JV will submit bids next week for the £50m Barons Quay development in Northwich. The Cheshire town will be transformed by the riverside £80m mixed-use scheme ending decades of delay caused by salt mining subsidence. Outline planning is already in place for an Odeon cinema, major Asda store, hotel, restaurants, bars, shops, petrol station and additional free car parking. 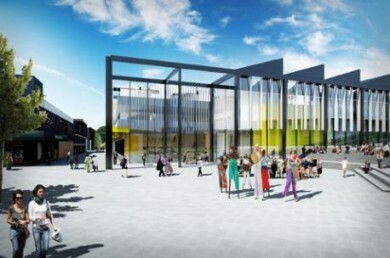 A winning bidder is expected to be announced by Cheshire West and Chester Council in June to allow work to start on site by autumn. 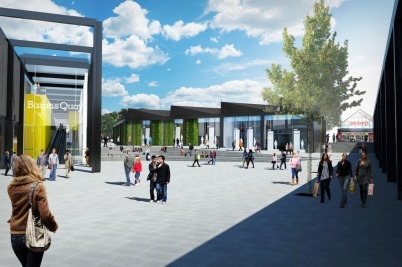 An impact study commissioned by Cheshire West and Chester predicts the 8.26 hectare Barons Quay development will reverse a trend of people shopping elsewhere. 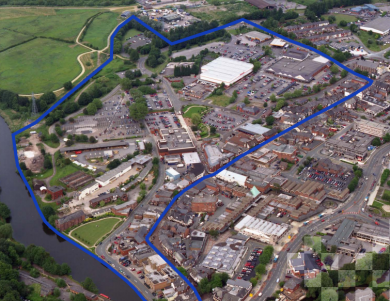 Architect Broadway Malyan drew up the masterplan for the 8-acre site bounded by Weaver Navigation, Witton Street and Matalan and Sainsbury’s stores. Northwich has been at the centre of Britain’s salt industry since Roman times but the legacy of unstable mines beneath the town centre prevented any significant growth in the past 30 years. A £32m programme completed in 2007 stabilised the abandoned mines by replacing millions of litres of brine from the mines with a mixture of pulverised fuel ash and cement and clearing the way for development.